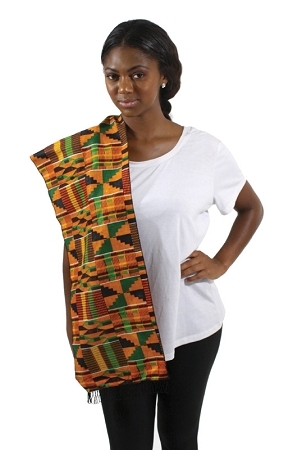 This kente scarf is perfect for Black History month. 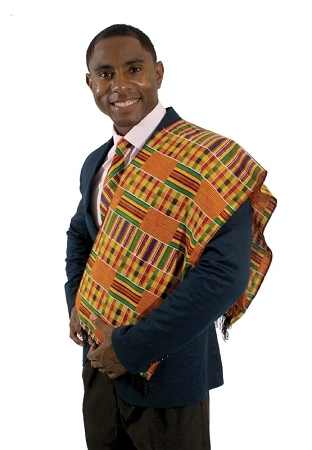 Home decoration or African clothing accessory made in Kente Cloth designs originating in Ghana. 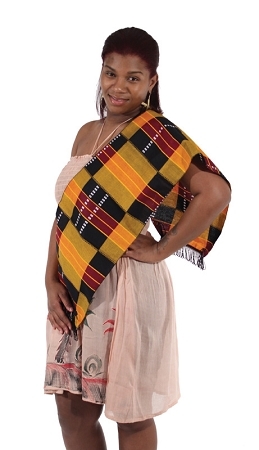 Wonderful table runners to add an African flavor to any environment. Also commonly used as scarves and sashes. 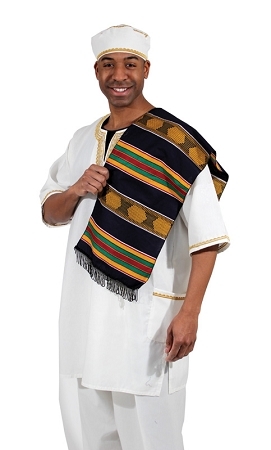 Fabric made in India: Approx. 12" wide X 44" long.